DICAMILLO, Kate. 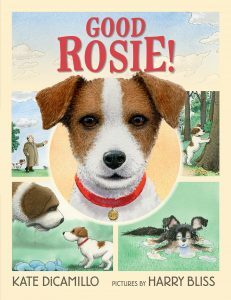 Good Rosie! illus. by Harry Bliss. 40p. Candlewick. Sept. 2018. Tr $16.99. ISBN 9780763689797.